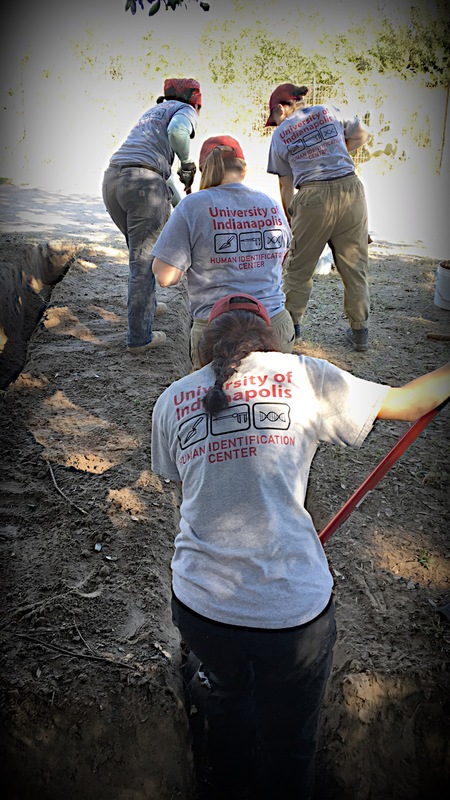 After six years of working towards the identification and repatriation of unidentified migrants who perished in the Texas Borderlands I continue to learn and grow with each trip we take to work with colleagues on these missions. One thing that struck me this trip was the observation that those who work on these issues on a continual basis looked a little more tired and a little more broken than usual. I think we all got into this naively believing that progress would come since everyone would see the value of dignity in life and in death. But six years of not only fighting for the rights of those who can not speak for themselves, but also of continually having to prove that their lives are worthy are beginning to take a toll. We’ve never spoken about how tired we are, frustrated yeah, but on multiple occasions this trip I had someone look me in the eye and say “I’m tired”. I heard about the emotional impact this is having on individuals who have been nothing but duty driven in the past. They fight everyday to locate the fallen or abandoned, to provide life saving water and medical aid, to exhume and identify and simply to extend dignity to a population deemed disposable and less than human. 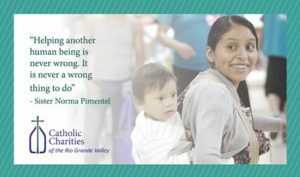 There’s no praise here, no rewards, just the satisfaction of knowing you are doing the right thing by extending the same treatment to others as you would want your own family to be treated. I am very proud of the emotional and professional growth of the student members of the Beyond Borders team. They performed hard, physical labor for up to 10 hours per day with no complaints. They were put into emotionally and politically charged situations and were able to navigate them with professionalism and poise. They learned valuable archeological skills and how to apply their education and training to mass disaster/ humanitarian situations. They supported each other as part of a team, formed relationships with peers and colleagues at Texas State University and modeled empathy during a time in which we need it desperately. And while they know this mission is not about them, it does provide them with the practical and theoretical tools and prospective to work towards change within a system that is currently unable to address the needs at our southern border. It embodies our university motto of Education For Service. My favorite moment of this mission was our trip to the Humanitarian Respite Center. When we pulled up to the center we saw a group of children kicking a ball. When we entered the center two little girls ran up to us asking if my two year old could play and asked her name. While the students went on a tour and learned how the center supports the community and the migrant refugees I went outside to the a small play area with my daughter and the little girls. Soon there were about ten children running around, pushing a play shopping cart and sitting in a little play house. A few moms emerged carrying their babies to sit and watch their older children. They looked tired. There was pain in their eyes. But that changed every time they looked at their kids. You could see that whatever they left behind and the risks they took to get here was for their children. They had been released the previous night after 8 days in ICE detention. They said after being inside the cold detention rooms for over a week the kids just wanted to play outside. As I watched a group of beautiful, happy children who were more concerned about finding the perfect toy to make my daughter smile then about the trauma they suffered, all I could do is hope they receive the same kindness and acceptance once they leave the center later that day. All I could do is hope their smiles and resilience would remain intact after they face whatever awaits them here in the land of the free.